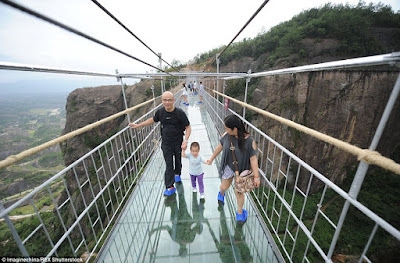 China Builds first 600-feet high, glass-bottomed Bridge in the world, view photos! 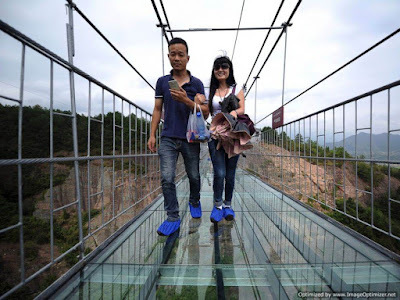 China Builds first glass-bottomed Bridge in the world. 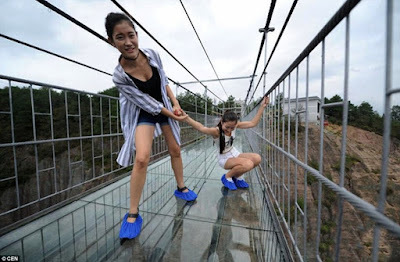 China has just opened its first glass-bottomed suspension bridge, and being nearly 300 meters long and 180 meters up from the ground, it definitely isn’t for the faint of heart. 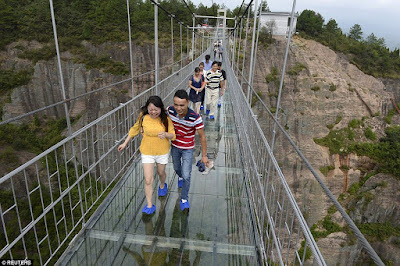 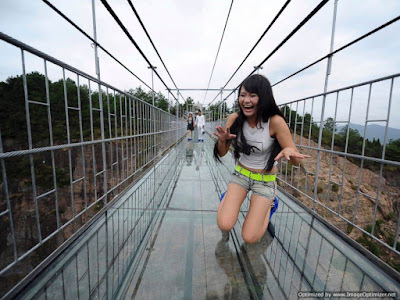 The high-altitude, transparent bridge opened this past Thursday in Zhangjiaje Grand Canyon in Central China’s Hunan province, according to Chinese newspaper, the People’s Daily. 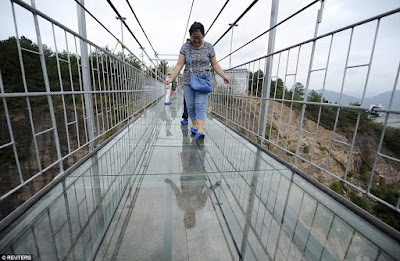 It is expected to be named the longest and tallest glass-bottomed bridge in the world. 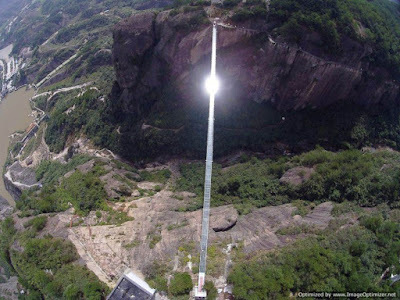 would you dare walk on this guys?